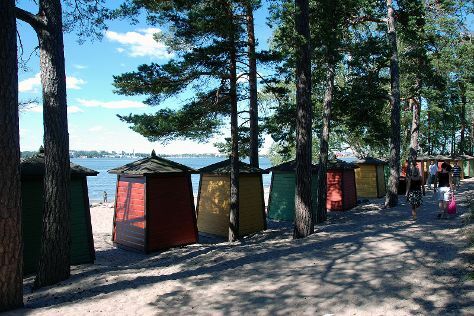 On the 23rd (Mon), head off the coast to Pihlajasaari Recreational Park, then wander the streets of Katajanokka, then stop by Academic Bookstore (Akateeminen Kirjakauppa), and finally contemplate in the serene atmosphere at Johannes Church. To see more things to do, reviews, other places to visit, and other tourist information, use the Helsinki road trip planning site . Zurich, Switzerland to Helsinki is an approximately 5.5-hour flight. You can also do a combination of train, bus, and flight; or drive. The time zone changes from Central European Time (CET) to Eastern European Time (EET), which is usually a 1 hour difference. Expect a daytime high around 3°C in December, and nighttime lows around -3°C. Finish your sightseeing early on the 24th (Tue) to allow enough time to drive to Turku. On the 24th (Tue), hike along The Archipelago Trail and then buy something for everyone on your list at Kauppakeskus Mylly. On the 25th (Wed), you'll have a packed day of sightseeing: test your problem-solving skills at popular escape rooms, take in the spiritual surroundings of St Henry's Ecumenical Art Chappel, then soothe aching muscles at Ispoinen Beach and Sauna, then explore the world behind art at Ett Hem Museum, and finally examine the collection at Kylamaki Village of Living History. 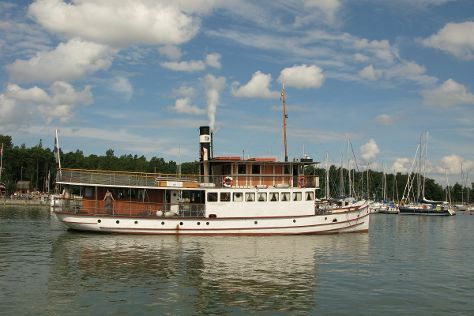 To see ratings, maps, photos, and more tourist information, you can read our Turku travel planner . You can drive from Helsinki to Turku in 2 hours. Alternatively, you can take a train; or fly. In December in Turku, expect temperatures between 1°C during the day and -4°C at night. Finish up your sightseeing early on the 26th (Thu) so you can travel to Rovaniemi. You'll explore the less-touristy side of things at LAURI and Feelapland. Get a sense of the local culture at Santa's House of Snowmobiles and Rovaniemi Church. There's still lots to do: explore the fascinating underground world of Syvasenvaara Fell, admire all the interesting features of Lappi Areena, get curious at Pilke Science Centre, and explore the different monuments and memorials at German Soldier s Cemetery. To see other places to visit, traveler tips, ratings, and tourist information, refer to the Rovaniemi sightseeing tool . You can fly from Turku to Rovaniemi in 5 hours. Alternatively, you can do a combination of train and flight; or drive. Expect a bit cooler temperatures when traveling from Turku in December; daily highs in Rovaniemi reach -6°C and lows reach -13°C. Finish up your sightseeing early on the 28th (Sat) so you can travel to Tampere. On the 29th (Sun), see the interesting displays at The Finnish Labour Museum Werstas, tour the pleasant surroundings at Rauhaniemi Beach, then look for gifts at Tallipihan Suklaapuoti, and finally see the interesting displays at The Car Museum of Vehoniemi (Vehoniemen automuseo). To find where to stay, other places to visit, maps, and tourist information, read Tampere trip maker tool . You can do a combination of flight and train from Rovaniemi to Tampere in 5 hours. Alternatively, you can fly; or drive. Expect a bit warmer temperatures when traveling from Rovaniemi in December; daily highs in Tampere reach 0°C and lows reach -6°C. Finish your sightseeing early on the 30th (Mon) so you can travel to Inari. Kick off your visit on the 30th (Mon): go for a walk through Otsamo Fell, pause for some serene contemplation at Pielpajarvi Wilderness Church, and then take in the architecture and atmosphere at Saint Tryphon Pechenga Orthodox Church. To find photos, reviews, traveler tips, and more tourist information, read our Inari trip itinerary planning tool . You can do a combination of train, flight, and shuttle from Tampere to Inari in 5.5 hours. Alternatively, you can do a combination of flight, bus, and shuttle; or drive. Plan for slightly colder temperatures traveling from Tampere in December, with highs in Inari at -7°C and lows at -17°C. Finish your sightseeing early on the 31st (Tue) to allow enough time to travel back home.